Jack Tang was no stranger to entrepreneurship when crafting Urban, formerly Urban Massage, the mobile wellness treatment startup. While studying at university he created thestudentjob.com to help fellow students land career opportunities, the demands of which saw him follow in the footsteps of entrepreneurial giants like Bill Gates and quit his studies before selling to Jobsite, the job board. His instinctual thrill for innovation kicked in once again when Tang realised just how much of a rotten deal self-employed therapists got across Britain’s wellness sector. It wasn’t difficult for Tang to identify something was wrong, given his Asian background made receiving massages quite the ritual growing up. “It’s something that’s habitual and you have that as part of your daily lifestyle in a way,” he explains. That couldn’t have been more true during his uni years, where countless hours absorbing lectures and deciphering research naturally saw him booked into more sessions. 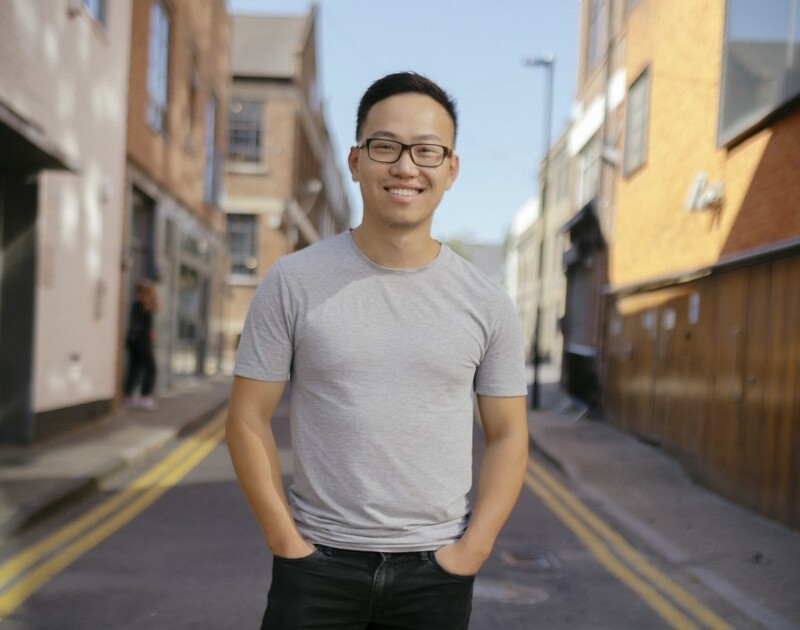 “During university I had loads of treatments to help me balance my anxiety and the stresses of intensive studying,” Tang recalls. During one of those much-needed treatments, Tang realised British therapists have even more to stress about. “Back in 2014 I paid £100 for a massage and from speaking to the therapist, it turned out she was getting paid around 20% of that,” he remembers. Indeed, thanks to rent, overheads and all kinds of demands from landlords, Tang felt self-employed therapists earned scraps for their hard work. And considering about 53% of Britain’s wellness professional workforce adopt a self-employed model, according to Tang, the issue is clearly widespread. “So that was obviously quite a shocking discovery, on top of knowing that the therapists were self-employed,” he says. Moreover, despite the price many freelance therapists were paid, Tang couldn’t believe their working conditions. “Ultimately, we just felt these professionals [were] working in lowly lit rooms for eight to ten hours a day without much of a break [and] getting paid approximately £12 to £15 an hour at most,” he reasons. This is without mentioning the industry’s laborious and inefficient customer experience, which Tang endured first hand. “Personally, I experienced the friction and inconvenience of a consumer booking a treatment,” he says. Seemingly, all of the ingredients were present for a revolution to spark. Tang partnered with co-founder Giles Williams and hit the drawing board with two clear goals in mind. “We set on a mission to empower professionals to make that leap of faith into entrepreneurship and earn significantly more money from the sticker price of the treatment,” Tang details. “And on the customer side, to massively improve the booking efficiency and their experience.” Given today’s always-on working culture, that meant opening up the market to accommodate for the hectic lifestyles of busy city-dwellers who don’t have time to get pampered, yet certainly need it. “How do you enable a customer to be able to book a high quality treatment that’s affordable at the last minute, so you can request it as and when you need it?” he says. The answer was an on-demand service with tech at its core. The model sees customers book a self-employed therapist through the platform, who then turns up within an hour to wherever the customer is. It sounds straightforward but only came about after much market research. “We’re running a marketplace with two classes of customers: the therapist and the end consumer,” Tang says. “So speaking to a lot of them and really understanding their issues made sure we are genuinely solving pain points of our target audience.” Indeed, inviting freelance therapists to take a step outside the normal model requires a lot of reassurance. “You must make sure you always have enough supplies and demand for therapists,” he adds. Once the details were hashed out, Urban set sail in 2014 and quickly made waves. “When [we] hit that point of actually seeing concurrent bookings at the same time, we knew that something was really happening,” Tang describes. And they weren’t the only ones – the startup bagged its first seed round of £190,000 just one year after launch. With it, Urban’s first prototype was made possible, which served as a basic website booking system without the bells and whistles. Nonetheless, it was enough to reap a £1.4m seed round only one month after that. “That allowed us to then start developing the technology that underpins the platform we see today,” Tang says. Following a £3.5m series A in 2016 and £2.3m follow-up funding in 2017, VC firms were well and truly hooked. However, the prospect of taking a different investment route presented unique potential. “We wanted to use crowdfunding as an opportunity to really bring our community closer together in a way that’s meaningful,” Tang explains. “We then basically said to our community: ‘Fundraising – would you be interested to own a piece of the success for as little as £10?’ And people said yes.” 842 backers later and Urban’s 2018 crowdfund closed with £3.5m – matching its series A from two years earlier. “The 842 people [were] made up of customers, therapists and also staff within Urban. So that was something that was really important for us,” he says. Indeed, while investments clearly indicated business was booming, Tang already knew Urban made it when therapists began describing how the platform changed their lives. “One of the therapists said to me ‘The money I’m making now I can actually put towards my mortgage and my deposit for a house,’” Tang remembers. “So by hearing that, it was a reflection point for us that in terms of how it was actually impacting people’s lives, it was actually happening.” And customers weren’t shy about telling Tang either. “People were saying ‘How did I live without this in the past?’ and now it’s something they can’t live without,” he continues. Moreover, as an entrepreneur, Tang believes endeavours must be viewed as more than just work to steer to Urban’s level of scalability. “Seriously, for me, it’s not a job,” Tang states. “I’m here for Urban and it’s not a sprint for success.” Well, considering the startup’s been injected with funding year-on-year since it was launched, it seems even a walking pace will do just fine. “We have very big plans and a very, very exciting long-term view,” he concludes.